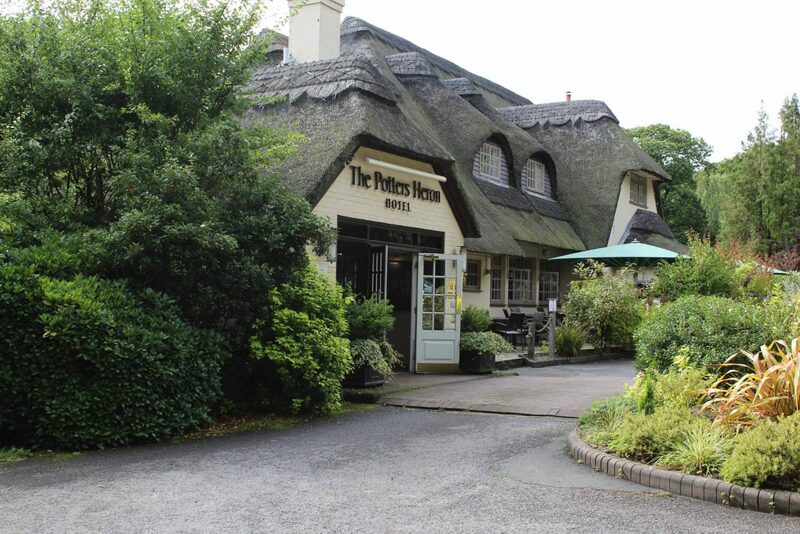 Earlier this week we were invited to stay at The Potters Heron Hotel in Hampshire by Hampshire Top Attractions. We had spent the day at Sir Harold Hillier’s Gardens, which was just beautiful and after a trip to Hamble for dinner we headed to our hotel. When we arrived we were greeted by a beautiful cottage feel hotel, but once inside it is actually quite big. The checkin process was quick and seamless and it wasn’t long before we were heading to our room. We were situated downstairs at the back of the hotel. As we were downstairs the room was very dark and we had to have lights on at all times. There was a window and a door to a small garden area, which had a seating area. 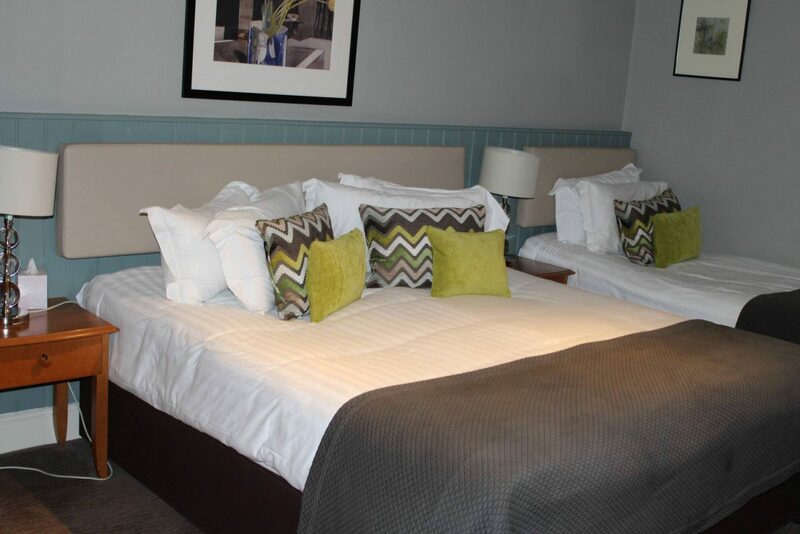 Our family room consisted on a large double bed, a single bed and they had put up a Z bed. This was adequate for all us. The beds were really comfortable and the duvets were nice and thick. Which even though it was August we were pleased to have, as we seem to have lost summer this year and it was a bit chilly. The girls did enjoy having a run about the garden and it was nice that we could sit and watch them from inside the room. If it had been a sunny day, it would be have been lovely to sit outside. Even if we were right next to someone else’s door! There was a full selection of tea, coffee and milk. The girls were quick to spot the chocolate biscuits and they didn’t last long. We had plenty of fluffy towels, however the bathroom was quite dated and didn’t really match the feel of the room. We did enjoy a nice hot shower and there was plenty of hot water. 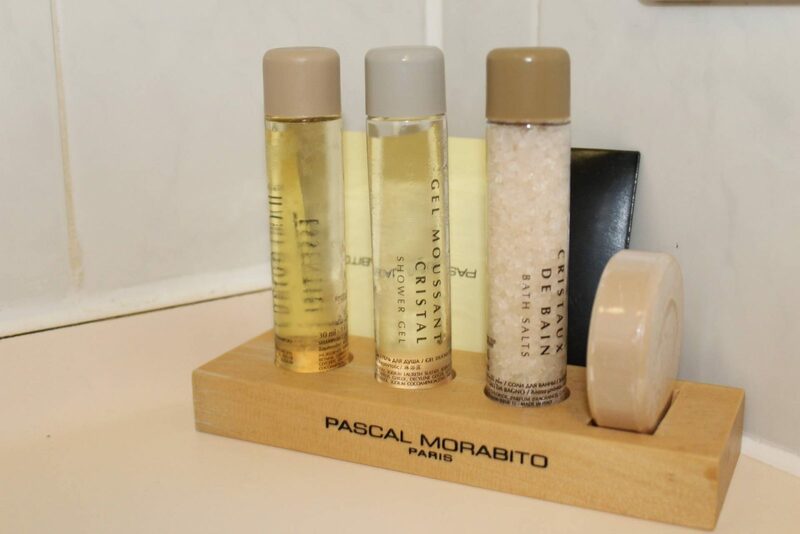 And of course there were the toiletries that the hotel provided. Andy always uses what is provide when he goes anywhere, so he made use of these. Unfortunately we were all woken up early by our neighbour taking an early shower. The position of the rooms, meant that a cut out section of our room turned out to be their bathroom with the shower the other side of our wall. It’s things like this that hotels really need to think about when deciding room layouts. As we were awake, we got up and got ready for the day. Alice was excited to see what they had to offer for breakfast. It was served in the bar area and this was quite modern and I can imagine it would be a nice bar area. We were shown to our table and as it was a buffet breakfast we could help ourselves. Because it was a bar and not a dining room, the layout was a bit awkward and coming back to the table with our hot breakfast was a bit of a squeeze past other diners. 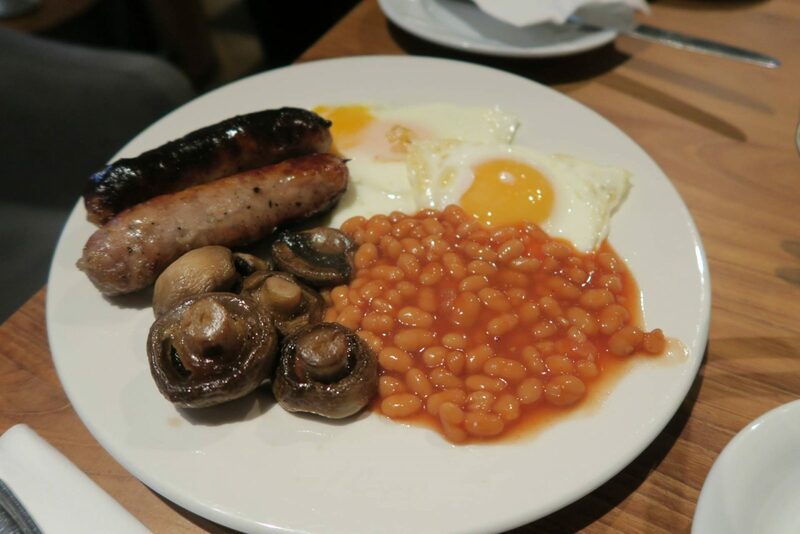 But the breakfast was delicious and it set us up for the day. Alice loved having cereal and then going back for a full english. 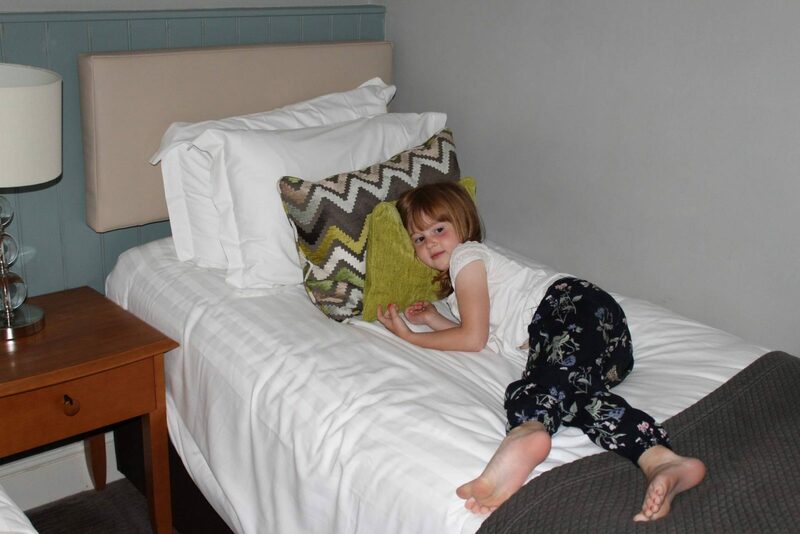 Overall we had a lovely stay at Potters Heron Hotel. It was in a great location for our trip to Sir Harold Hillier Gardens, and as we were heading off to Paulton’s Park after breakfast, it was only a short drive for us. 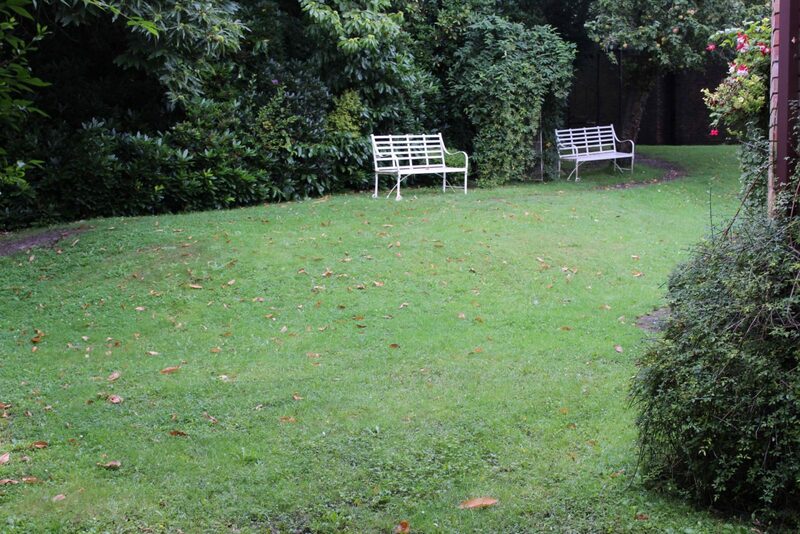 I would love to return on a nice sunny day and make use of the gardens. 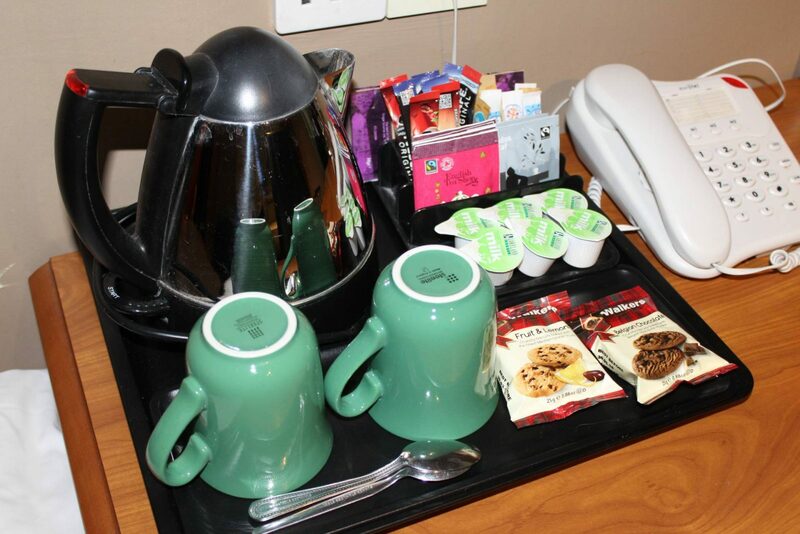 Disclosure: We are working with Hampshire Top Attractions and were invited to stay at Potters Heron Hotel. All views and opinions are my own. Oh that hotel looks really beautiful from the outside. I suppose there will be minor issues when it’s located in such an old building but it certainly has lots of character! It sounds like a great hotel although I agree, hotels need to think about their lay out especially when it comes to things like showers! I would have hated being woken up early, the best thing about hotels is having a nice lie in! The breakfast looks great though and the outside area too. This looks like a really nice hotel from the outside, although shame about the hotel layout! I’m like your girls, I always spot the chocolate biscuits!